Thoroughly covers pores and unevenness in a single stroke, even on dry skin. 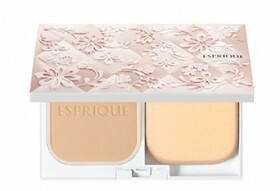 Forms a long-lasting, airy-light veil over skin. Airy Snug Fit Powder: A tabular powder that has the ability to maintain a beautiful veil and wears comfortably over skin. Blend Snug Fit Powder: A tabular powder that blends with naturally-occurring oils in the skin to enhance the adhesion and staying power of the foundation. Long-lasting effects that prevent your skin from appearing cakey, even when it is dry! Prevents the makeup film from migrating or transferring! The foundation stays put, even if you accidentally touch your face! Use after prepping skin with a makeup base.